Free shipping on orders over 100 euros. What if the new rebellion was all about goodwill? Not just another of those pointless expressions of indignation, no, a real grass-roots movement, a peaceful, gentle, determined transformation. That’s the quest that drives us today. The world that we aspire to is a world in harmony: with people, with the environment, with the natural rhythm of things. 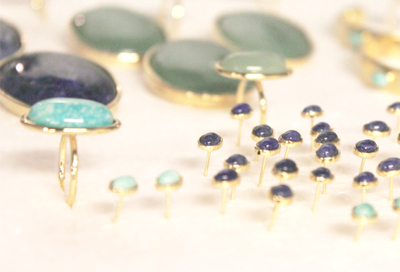 Our role is to design surprising jewellery that is constantly renewed in an elegant, bohemian style. 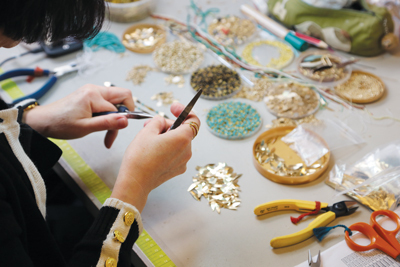 Our jewellery is made meticulously in our parisian workshop by expert French craftsmen and women in a way that is respectful of people and natural resources. The priority for Medecine Douce is to help the world feel good, to enjoy a sense of well-being that is both personal and outward-looking. A sense of balance. A sense of harmony. To achieve this, in all humility, we design jewellery that is resolutely in the spirit of the times, that gives others comfort and allows the wearer to radiate goodwill. A child of the Canal Saint-Martin, Medecine Douce was founded by Marie Montaud in 2000. Following a number of collaborative projects with major names in the fashion world, the brand is now established in Rue de Marseille, Paris, on premises that accommodate both a workshop and shop: the two lungs of the same body.